Working out of her jewel box of an apartment at the base of the Brooklyn Bridge, Celine has made a career of tracking down missing persons, and she has a better record at it than the FBI. But when a young woman, Gabriela, asks for her help, a world of mystery and sorrow opens up. Gabriela's father was a photographer who went missing on the border of Montana and Wyoming. He was assumed to have died from a grizzly mauling, but his body was never found. Now, as Celine and her partner head to Yellowstone National Park, investigating a trail gone cold, it becomes clear that they are being followed--that this is a case someone desperately wants to keep closed. 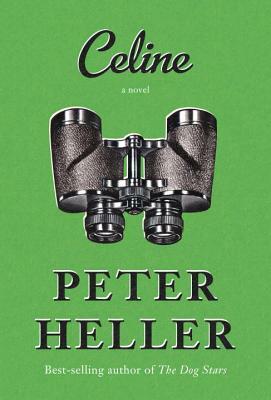 Inspired by the life of Heller’s own remarkable mother, a chic and iconoclastic private eye, Celine is a deeply personal novel, a wildly engrossing story of family, privilege, and childhood loss. Combining the exquisite plotting and gorgeous evocation of nature that have become his hallmarks, Peter Heller gives us his finest work to date.